Find helpful information on historic Charleston SC including area maps, local weather details, and travel guides to help you get to and around Charleston. 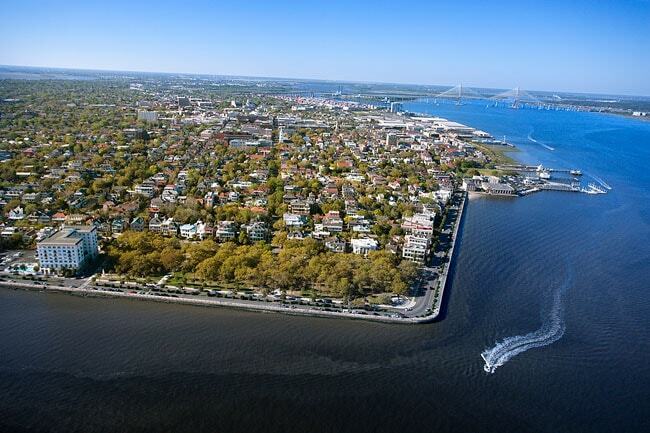 Charleston is the second largest city in South Carolina and has a population of approximately 135,000. 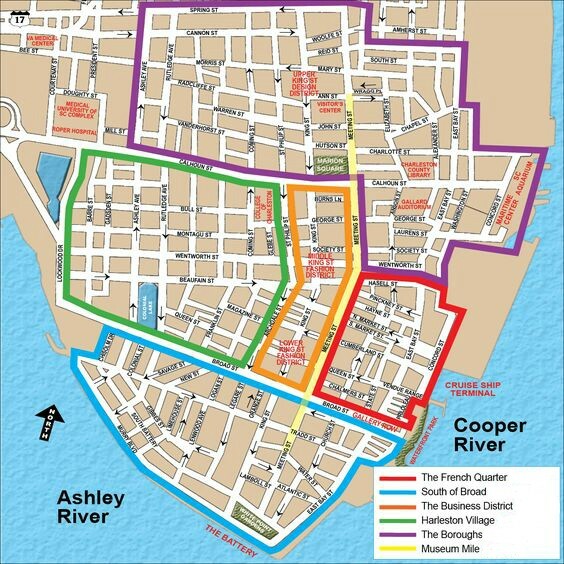 The Charleston downtown is on a peninsula formed by the Ashley and Cooper rivers which flow into the Atlantic and is protected from the ocean by surrounding islands. The city is an important port, boasting the second largest container seaport on the East Coast and the fourth largest in North America. Charleston is known as the "Holy City" because of the prevalence of church steeples that dot the city’s skyline and the fact that it was one of the few places in the original thirteen colonies to provide religious tolerance to the Huguenots and Jews. The Charleston Peninsula is made up of 5 distinct neighborhoods: The Boroughs, Harleston Village, The Business District also called the Shopping District, The French Quarter and South of Broad. Radcliffeborough - Located next to the Medical University of South Carolina, this area is home to doctors, professors, college students and other professionals. Columned antebellum mansions share streets with modern homes merging the old and new. Biking and walking are popular forms of transportation in this borough, with its proximity to shopping, dining, and cultural nightlife. Ansonborough - This area, surrounded by the historic Charleston Market, Waterfront Park, and numerous hotels, was the first suburb of the original walled city of Charles Town. Home to the oldest private residence, the Col. William Rhett House dates back to 1712. Charming deli’s, shops, and full-scale restaurants line the streets of this vibrant neighborhood. Cannonborough/Elliotborough - These were originally considered two separate boroughs, but are now regarded as one. This area has been undergoing revitalization over the past several years and has seen many unique restaurants, bakeries, and small boutiques popping up in the "Midtown" area around Spring St. and Cannon St.
Mazyck-Wraggborough - This borough is bordered by the Charleston Visitors Bureau, the Galliard Auditorium, and the Charleston Maritime Center. Located along a portion of Charleston's Museum Mile, Mazyck-Wraggborough offers convenience to a number of cultural hotspots in Charleston, including the Charleston Museum, the Children’s Museum of the Lowcountry, and the Charleston Music Hall. Harleston Village - Bordered by the College of Charleston and the Medical University of SC, Harleston Village is a lively and diverse area of downtown. This highly pedestrian friendly area of town has parks, corner cafes, boutiques and bars. Business District - The Business District is home to some of the best antique shops in Charleston. You can find furniture, porcelain, silver and art dating back to the late 1700s. This area is also home to the Fashion District. French Quarter - The French Quarter was settled in 1680 and gets its name from the large number of French Huguenots that settled in the area. This neighborhood is famous for historic churches, art galleries, restaurants, and Waterfront Park. South of Broad - South of Broad is the most exclusive part of downtown Charleston. This quiet residential area has cobblestone streets, stately antebellum mansions, and manicured gardens. 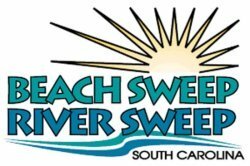 For other helpful maps including maps to help you locate public restrooms, public parking garages, beaches, and attractions, visit our historic Charleston Maps page. 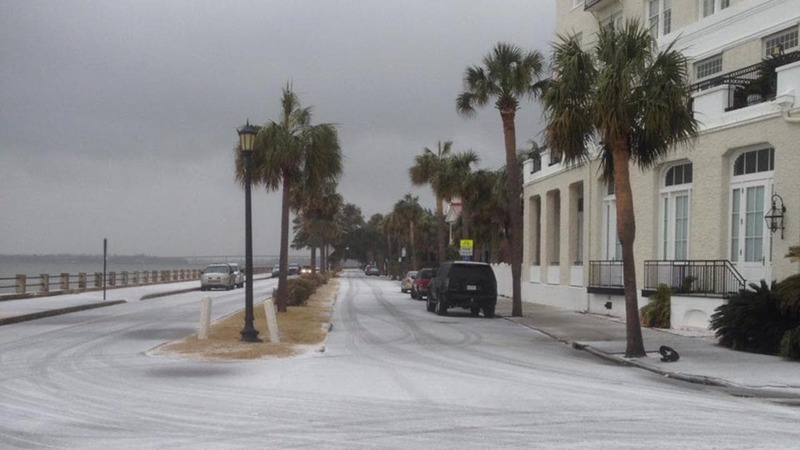 Charleston has a humid subtropical climate with warm summers and mild winters. The daily high temperatures average around 75°F and daily low temperatures average around 56°F. The hot season runs from May 27th until September 18th with July 23 being the hottest day of the year. The cool season runs from December 1st until March 2nd with January 17th being the coldest day of the year. 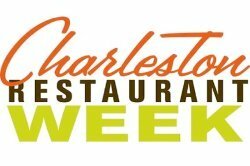 Charleston experiences high dew points for about 6 months of the year from the first of May until the end of October. During these months, the humidity comfort level can range from muggy to oppressive. For further information on Charleston weather including monthly average temps, monthly average precipitation, and seasonal conditions, visit the Charleston Weather page. Charleston is centrally located on the South Carolina coast and a short drive from many East Coast cities. Visitors can take Interstate 95 and then Interstate 26 into Charleston. 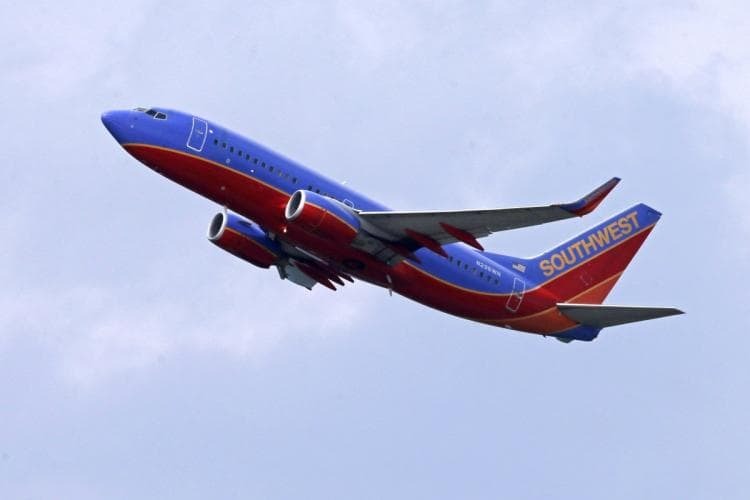 Travelers can also fly non-stop from 23 airports and 17 cities in the U.S. to the recently renovated Charleston International Airport. Other options for traveling to Charleston include Greyhound Buses and Amtrak Trains. Both the Amtrak and Greyhound stations are located in North Charleston, about a 15-minute drive from downtown Charleston. Visit our Charleston Travel page for more information on traveling to Charleston. One of the easiest ways to get around Charleston is by riding the free downtown area shuttle (DASH). The shuttle buses have three different routes which cover much of the Charleston peninsula. You may also want to consider renting a car, but you should first check with your hotel to see if they charge for parking. If they do, then free street parking or nearby parking garages could save you a considerable amount of money. Another quick and convenient way to get around Charleston is by taxi. 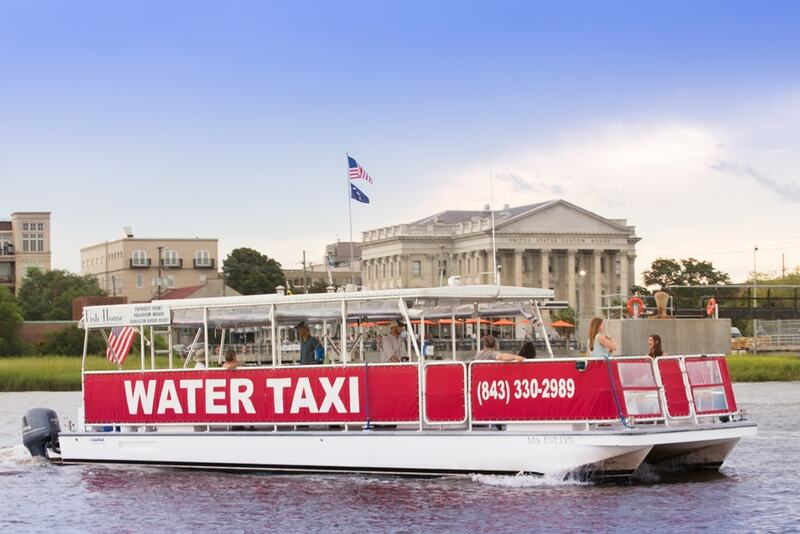 This is an inexpensive way to get around the city and you can choose from several types including the standard taxicab, a Rickshaw(bicycle) Taxi, or the Charleston Water Taxi.